If approved, the treatment could restore vision. A Japanese committee has provisionally approved the use of reprogrammed stem cells to treat diseased or damaged corneas. Researchers are now waiting for final approval from the health ministry to test the treatment in people with corneal blindness, which affects millions of people around the world. The cornea, a transparent layer that covers and protects the eye, contains stem cells that repair it when damaged. But these can be destroyed by disease or by trauma from chemicals or burns, which can result in patients losing their vision. Currently, cornea transplants from donors who have died are used to treat damaged or diseased corneas, but good-quality tissue is scarce. A team led by ophthalmologist Kohji Nishida at Osaka University plans to treat damaged corneas using sheets of tissue made from induced pluripotent stem cells. These are created by reprogramming cells from a donor into an embryonic-like state that can then transform into other tissue, such as corneal cells. 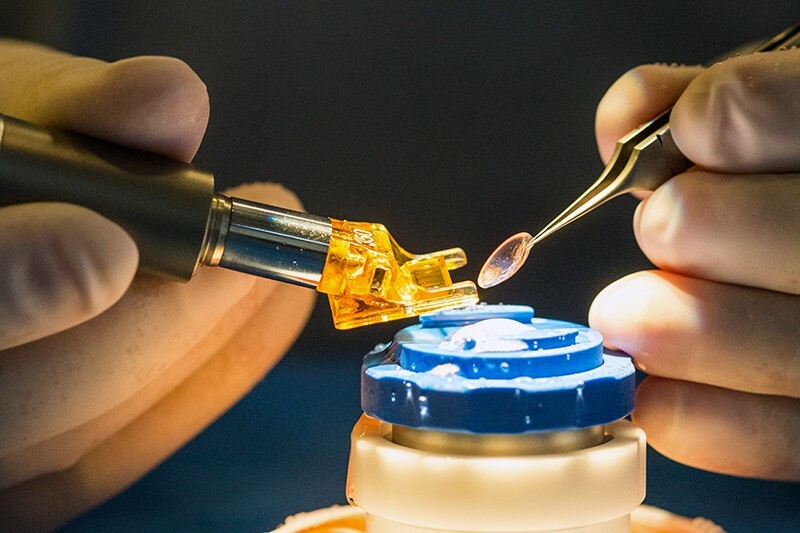 Nishida’s team plans to lay 0.05-millimetre-thick sheets of corneal cells across patients’ eyes. Animal studies have shown1 that this can save or restore vision. The health ministry is expected to decide soon. If Nishida and his team receive approval, they will treat four people, whom they will then monitor for a year to check the safety and efficacy of the treatment. The first treatment is planned to take place before the end of July. Other Japanese researchers have carried out clinical studies using induced pluripotent stem cells to treat spinal cord injury, Parkinson's disease and another eye disease. Hayashi, R. et al. Nature 531, 376–380 (2016).